Cusco, Peru is one of the best destinations in the world. Machu Picchu, its main tourist attraction, receives more than 1 million tourists a year. Before traveling there, know that tickets are limited and must be booked online in advance. There are only 2 stations in Machu Picchu: the rainy season (from November to March) where there are more chances of precipitation and the dry season (from April to October) where there is little rain. Choose the season in which you want to enter Machu Picchu. While coming in the dry season gives you amazing sunny days, coming in the rainy season also has its own. Decide well the day you enter Machu Picchu. Inquire on the internet if there are strikes or weather problems that may interfere with the development of the trip. Book your Machu Picchu tickets in advance. The purchase is made online. It is recommended to do it 2 or 3 weeks before. If you are looking to buy a Machu Picchu + Huayna Picchu ticket, book your ticket online 2 or 3 months in advance. You can make your purchase on the official website of the Ministry of Culture of Peru. Also through the web pages of the authorized tourism agencies. If you plan to get to Machu Picchu by train from Cusco, remember to buy your tickets online and in advance. Buy your train tickets immediately after knowing the date you will visit the Inca City of Machu Picchu. There are only 2 companies: Peru Rail and Inca Rail. Choose the train service that best suits you. Your passport or identity document must be valid at the time of entry. Otherwise, they will not let you enter the Inca Shrine. If you bought your Machu Picchu entrance with a discount for university students, check that your student card is updated. Remember that you will not need a visa if you stay in Peru less than 90 days. 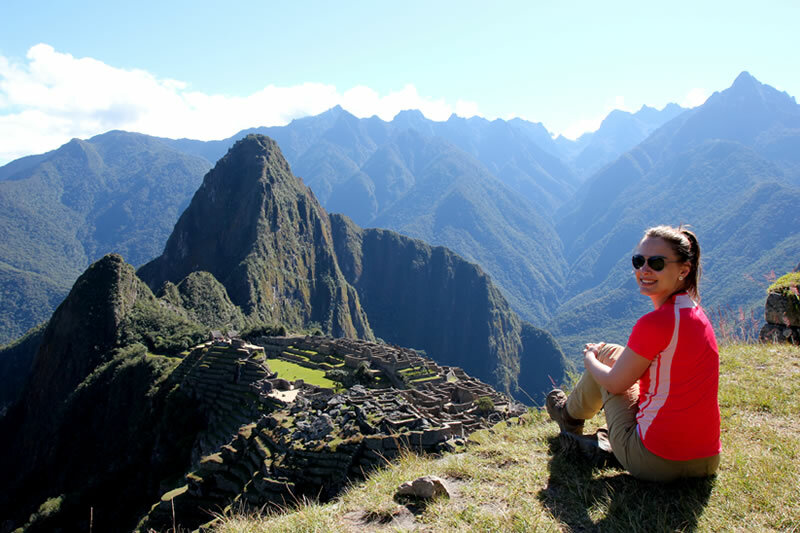 There are special discounts to acquire your Machu Picchu ticket: for minors (from 8 to 17 years old) as well as for undergraduate students (undergraduates, under 25 years old and who have a valid university card). The citizens of the Andean Community of Nations (Peru, Ecuador, Bolivia and Colombia). They must buy their ticket with their passport, identity card or immigration card. Children under 8 years old do not pay entrance fee. They must enter showing an identity document that validates their age. In Peru, Spanish is spoken. Although in most tourist places you will meet bilingual people, learning some words in Spanish is not difficult. If you are a lover of languages, you may also want to learn something Quechua, the language of the Incas that is still valid in the Andes. In Machu Picchu is not allowed to enter with pets so it is recommended that you leave them at home in someone’s care. If you decide to bring them to Peru, know that they must have sanitary authorizations from their country of origin. In Cusco and Aguas Calientes there are hotels that allow pets in their facilities. There are also nurseries where you can leave them while you visit Machu Picchu. Hiking shoes or some comfortable shoes for walking. Money (in card or cash). Inca Trail – One of the most amazing hiking trails on the planet. There are 4 days of walking along ancient roads built by the Incas. The last day you arrive at Machu Picchu. By train – One of the most incredible train routes. The classic route begins in the town of Ollantaytambo. It crosses the Sacred Valley of the Incas in a journey of almost 2 hours to Aguas Calientes (Machu Picchu pueblo). Long route of Hydroelectric – An alternative route. Mix the trip by bus, the short walks and amazing landscapes of the Sacred Valley to finally reach Machu Picchu from the Hydroelectric station. Train travel is the fastest and safest option. It is also the alternative that more visitors prefer. You should only purchase your tickets weeks in advance. If you choose the Inca Trail, buy your tour online 4 or 5 months in advance. If you come by the long route of Hydroelectric, you can make the trip without tickets and on your own. After arriving in Aguas Calientes, you can choose to climb the hill that leads to Machu Picchu by bus or on foot. This last option is free. Arrive walking – The path is composed of rustic paths and stone stairways. It travels approximately 9 kilometers on uphill roads. The journey may take more than 1 hour depending on the physical condition of the visitors. Arrive by bus – The buses start to climb towards Machu Picchu from 5.30 am The journey is about 30 minutes maximum. Walk the Hiram Bingham road. It is recommended for people who come with children and the elderly. Likewise, it is a good option for tourists who visit the mountain Huayna Picchu. Hiram Bingham discovered Machu Picchu in 1911. However, there are still many mysteries about the origin of the Inca City. Machu Picchu offers many adventures such as hiking trails to the top of Huayna Picchu or the 4-day hike along the Inca Trail. You can also choose to walk the trails of the new mountain Machu Picchu. Machu Picchu has hundreds of constructions made by the Incas hundreds of years ago. Most were made using huge stones that fit perfectly. How they did it? The Wonder of the World does not yet reveal all its mysteries. First schedule: entry from 6 in the morning. Second schedule: entry from 7 in the morning. Third schedule: entry from 8 in the morning. Fourth hours: entry from 9 in the morning. Fifth schedule: entry from 10 in the morning. Sixth schedule: entry from 11 in the morning. Seventh schedule: entry from noon. Eighth schedule: entry from 1 in the afternoon. Ninth time: entry from 2 in the afternoon. Schedules for Machu Picchu: the same hours as the ticket ‘Machu Picchu Only’. If you buy between April and August: 4 weeks in advance. If you buy on another date: 1 week in advance. If you buy between April and August: 3 months in advance. If you buy on another date: 2 months in advance.